U.S. Poet Laureate Donald Hall calls Lamon "an exquisite writer of lyrics"
Without Wings (CavanKerry Press, July 2009), Whitworth Professor of English Laurie Lamon's second volume of poems, continues the acclaimed poet's exploration of the observable mysteries that surround us, but often go unnoticed. In poems that distill the essence of experience into polished gems that refract a kind of necessary light, Lamon ventures to a world of things as they are, without preconceptions, rationalizations or verbal clutter. Donald Hall, who as Poet Laureate of the United States selected Lamon for the Witter Bynner Fellowship Award, given by the Library of Congress to accomplished younger poets, calls Lamon "an exquisite writer of lyrics…She's a great poet of inwardness…Her work is dedicated and pure, modern in manner, but written in her own voice." Yet the purity of Lamon's poetic voice is deceptive, seeking as it does deeper, more complicated meanings that lie beneath the commonplace. There is an exultation that percolates beneath the surface of her poems, a longing to break loose from the quotidian to embrace the divine. The late Peter Davison, longtime poetry editor of The Atlantic Monthly, once said, "Laurie Lamon makes a music that persuades not only my mind, but my senses, to accept this duality from both sides at once, but still to believe that 'the world could end with light.'" Without Wings confirms this exquisite writer's place among the most innovative and important poets at work today. "I admire these poems—how they enact the lyrical equivalent of being in two places at one time," says poet and Portland State University professor Michele Glazer. "Lamon is drawn to edges, to that precise moment of transformation; and then, the moment after—the astonishing clarities of distinction. She does the near impossible—evoke a world at once continuous and still." As in The Fork without Hunger, Lamon's first collection, Without Wings features twelve of Lamon's "Pain" poems, an ongoing cycle of poems whose subjects include history, religion, loss and survival. In these ruminative poems, experimental and flowing in form, pain "thinks" of a word, of the body, of the angel, of the pale of settlement, of death. "Laurie Lamon’s poems are an absolute distinct experience," says poet and Eastern Washington University professor Christopher Howell. "Their passionate precision and deep imagistic resonance, their crisp formal invention and tact take you to an utterly strange and refreshing window of rain and sunstruck stones and invite you to breathe and to look. Without Wings is a gift and a true achievement." Without Wings is available for purchase at University Press of New England, http://www.upne.com/, or 800-421-1561 ($16; ISBN: 978-1-933880-12-9). It is also available for purchase at the Whitworth bookstore (509-777-4524), and at major bookstores in Spokane and online, including http://www.amazon.com/ and http://www.barnesandnoble.com/. Lamon has taught poetry workshops and literature seminars at Whitworth University since 1985, after receiving her doctorate from the University of Utah. Her poems have appeared in many journals and magazines, including The Atlantic Monthly, The New Republic, The New Criterion, Arts & Letters Journal of Contemporary Culture, Ploughshares, Colorado Review, and Poetry Northwest. She is the recipient of a Graves Award in 2002, and a Pushcart Prize in 2001 for the poem "Pain Thinks of the Beautiful Table." In 2007, Lamon was given a Witter Bynner Fellowship Award by the Library of Congress. Located in Spokane, Wash., Whitworth is a private liberal arts university affiliated with the Presbyterian Church (USA). The university enrolls 2,600 students in more than 50 undergraduate and graduate programs. 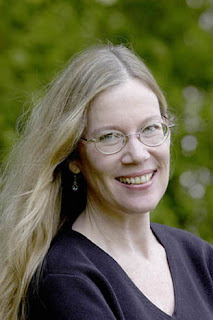 Laurie Lamon, professor of English, Whitworth University, (509) 777-4468 or llamon@whitworth.edu.